The success of your organization relies heavily on email communication. One misconfiguration on your network or local computer could delay or fail delivery. Mail server outages, blocked emails, full inboxes, or blacklist issues are common reasons why emails fail to deliver. Unfortunately, most businesses wait until after the problem occurs to frantically find a solution. Email Continuity – Never miss an important email. Email Archiving – Never lose an important email. 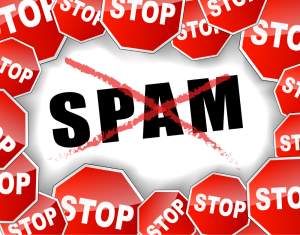 Spam Filtering – Keep out unnecessary spam and scam emails. With Quikteks Email Support, your business will benefit from the following services: Email Continuity, Email Archiving, and Spam Filtering. Business doesn’t stop when your email network experiences an outage. Whether the network is inaccessible due to natural disasters, power outages, or even regular maintenance, McAfee SaaS Email Protection and Continuity keeps employees, customers, partners, and suppliers connected 24×7. Enjoy the convenience of cloud-based, automatic rolling email storage, with no cumbersome backup procedures and no need to maintain your own storage facility. If your own email servers become unavailable, you can still use the secure, easy-to use web interface to send and receive messages, and manage quarantines and message stores just as you would in your normal live environment. Schedule your Free Network Consultation. Access your email, contacts and calendar anywhere with Quikteks Hosted Exchange. With Exchange, you can be confident that your server is set up with all necessary tools and security features to ensure that your company is successful. Your employees will be able to securely check their email from any mobile device, or from any web browser via the Webmail portal. Simply sync your mailbox to your device and take your entire office with you. If you do lose your phone, we wipe the device remotely to ensure that your sensitive data does not fall into the wrong hands. Schedule your Free Network Consultation. With Email Archiving, employees are able to retrieve past emails and attachments, including ones that may have been deleted accidentally. Take full control of your past emails with Quikteks Email Archiving. Schedule your Free Network Consultation. Studies have determined that up to 78 percent of all outbound email is spam. Even with the spam filters found on most email clients, this costs U.S. companies an average of $712 per employee per year in lost time. How many employees work at your company? Multiply that number by $712 and you will see just how much of an impact spam can have on the success of your business. Schedule your Free Network Consultation. Filter Scam Emails Out. Let Important Emails In. Phishing emails, or scam emails, have become a major concern for most businesses. The email is intended to confuse or manipulate the reader into clicking on a malicious link or save an attachment containing malware. If your employee blindly gives in to the scam, your network may be jeopardized. Quikteks’ Email Protection is an affordable, powerful solution to all of these problems. Since it is completely hosted, you will not have to take the time to install software on each of your employees’ workstations and other computers. Our solution uses intelligent pre-designed filters to stop potentially harmful phishing or scam emails from ever reaching your network. Suspicious emails are quarantined so you can evaluate them daily, ensuring that you do not miss important emails or allow dangerous ones to infect your computers. Schedule your Free Network Consultation.